Yasmine Naghdi as Kitri and Marcelino Sambe as Basilio in Don Quixote, music Ludwig Minkus, new choreography by Carlos Acosta after Marius Petipa. Russian Ballet Icons Gala 2019 in the Coliseum Theatre, London, 31.3.2019. English dancer Yasmine Naghdi is a Principal of The Royal Ballet. She joined The Royal Ballet in 2010, was promoted to First Artist in 2012, Soloist in 2014, First Soloist in 2016 and Principal in 2017. Born in London, she was a Junior Associate before entering full-time training at The Royal Ballet School, White Lodge and Upper School. In 2009 she won the Young British Dancer of the Year Competition. Naghdi was nominated for Best Female Dancer at the 2018 Critic’s Circle National Dance Awards. 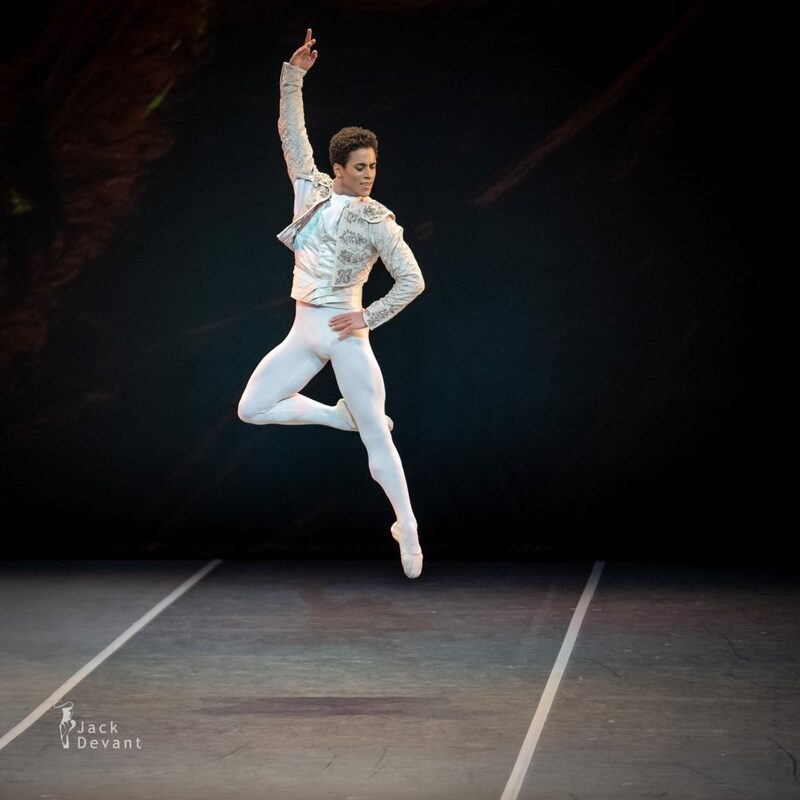 Portuguese dancer Marcelino Sambé is a First Soloist of The Royal Ballet. He trained at The Royal Ballet Upper School and graduated into the Company during the 2012/13 Season, promoted to First Artist in 2014, Soloist in 2015 and First Soloist in 2017. 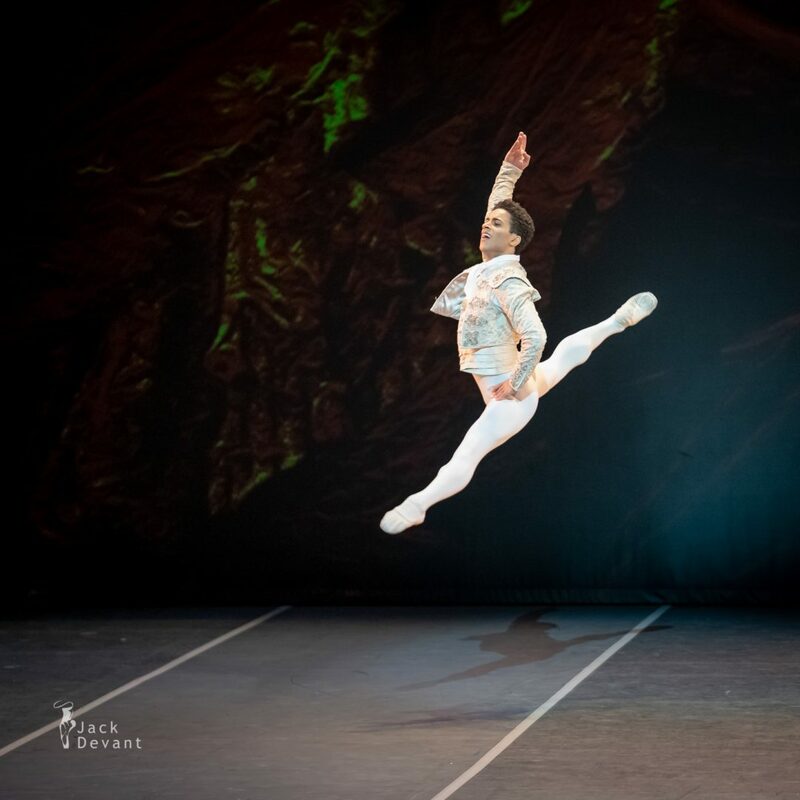 Sambé was born in Lisbon and studied at the National Conservatory of Lisbon before joining The Royal Ballet Upper School. Sambé is a keen choreographer and was selected as one of the UK’s emerging choreographers by Youth Dance England in 2012.